The Conde Hermanos ('the Conde brothers') are Spanish builders of classical and flamenco guitars. They belong to the top of the luthiers with regard to classical instruments. It was guitar builder Domingo Esteso who started in 1915 in Madrid, together with his cousins ​​Faustino and Mariano Conde senior, who later trained their brother Julio Conde. After the death of Domingo Esteso in 1937, the three Conde brothers continued to build guitars under the name Viuda y Sobrinos de Esteso (Widow and cousins ​​Esteso) until 1960. From 1960 to 1988-89 different names were used as successively: Sobrinos de Domingo Esteso Conde Hermanos (Neven of Domingo Esteso brothers Conde) and Conde Hermanos Sobrinos de Domingo Esteso (Conde brothers, Domingo Esteso's cousins). From the nineties, Felipe and Mariano Conde built their instruments independently, in separate Madrid-based studios. Felipe Conde uses almost the same type of label (in the sound box, with origin, date, signature) as in the previous period, Mariano writes all his labels by hand. Felipe also uses the same head design ("head" of the guitar, with the tuners) as the brothers did together, the "media luna" or half moon. 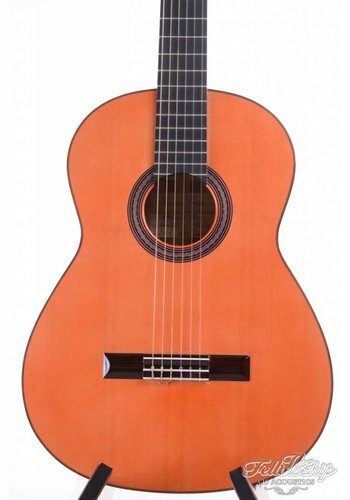 Traditionally, flamenco guitars have also been, and still are, built with a cypress sound box; a cedar neck with an ebony fingerboard, and a fir-tree top. This is called a "blanca" (due to the light color of cypress) flamenco guitar. Since the beginning of the seventies, the Conde brothers also build the "negra", a guitar that contains the same types of wood as a classical guitar; the sound box here is from the tropical (and deep dark brown) rosewood. The sound differs, however, by the use of a different pattern of vocal bars under the top of the guitar, and in general by thinner planed wood parts for the sound box. The "negra" generally has a slightly larger volume, and a subtle different sound than the "blanca". 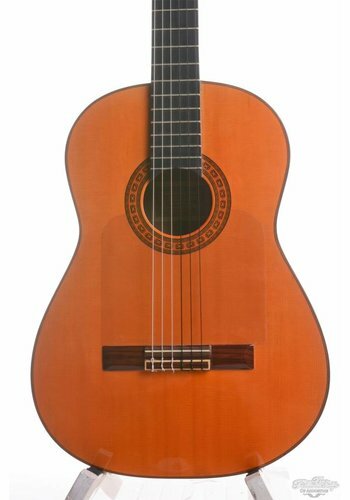 Conde guitars were, and are, used by, among others, Paco de Lucía, Manolo de Huelva, Niño Ricardo, Melchor de Marchena, Sabicas, Mario Escudero, Esteban de Sanlucar, Regino Sainz de la Maza, Tomatito and Oscar Hererra, Roverto Morón, José Nanuel Cañizares, Rafael Riqueni, Enrique de Melchor; alongside non-flamenco guitarists such as Al Di Meola, Bob Dylan, Yusuf Islam and John Williams.